Home » Eyebrows » Microblading » What is Microblading and Why Choose This Technique? What is Microblading and Why Choose This Technique? Microblading is a newly introduced technique, and each state of the United States has its own regulation for this procedure. There are already thousands of people enjoying the results of Microblading. Not only in the United States but in other developed countries. Yet it seems that many are still confused and hesitated to give Microblading a try. Here are the few FAQ’s on Microblading technique that might give you an insight. Microblading, eyebrow embroidery, Micropigmentation, Microstroking, Semi-permanent makeup, 3d eyebrow tattoo, 3d microblading, 3d eyebrow embroidery and Pigment embroidery. No need to confuse on these terms as they are with different names but the procedure is the same. But, the majority calls it Microblading. 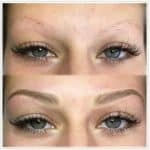 Microblading is a semi-permanent method that belongs to cosmetic tattooing. To perform Microblading the technician deposits hair-like pigments to client’s brow area. Experienced and well-trained technician knows what brow design that fits the client’s face. The result is a fascinating real looking eyebrow hair. Is Microblading a Tattoo or Not? Microblading is a method that belongs to semi-permanent tattoo. The procedure is different from the traditional tattooing. Although the method used is different, the process still belongs to tattoo. How Long Can Microblading Last? Bladed eyebrows can last for more than a year or up to 24 months. Or depending on a person’s personal activities, lifestyle, and skin type. To maintain your eyebrows freshness and dark color, yearly touch up is recommended. It does hurt but only a little, and also it many depend on a person’s pain threshold and the type of numbing cream used. You can find more information about this topic here. Does Microblading Can Damage My Skin and Leave Scars? No, Microblading may not damage your skin or even leave scars. Microblading technique is not about slicing, rather a gentle skin scratching. But it all depends on the technician. Lack of practice and poor knowledge are the common primary cause of problems. The average cost for Microblading procedure ranges between $300-$500. 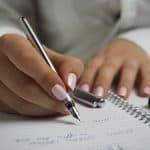 Some businesses ask for a consultation fee, and an extra charge may need for a yearly touch up. To Whom Is Microblading For? Microblading is the ideal procedure for you if you feel uncomfortable with your eyebrows. Or, if you have any these problems and want an immediate solution. Microblading is not a cheap procedure. That is why one must do research first for the right technician who will do the eyebrows before spending. This to ensure high-quality service and achieve the best Microblading results. Tip 1: Ask for recommendations from friends, coworkers or family members. – How did you hear about Microblading? You can request a recommendation from them. Tip 2: Check salon’s social media account for reviews. – Facebook and Twitter are great places to find reviews from real clients, Yelp as well is your best friend. Tip 3: Ask for consultation or if possible just stop by. – After gathering enough information on nearby salons, ask or book for a consultation. 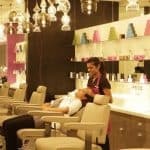 Although not all, but many salons offer free consultations that you can be able to meet your technician. Talk with her in person before she will do your eyebrows. Or you can also stop by the salon and observe, do they treat you well? Are the staff professional? How about the other customer, do they look happy and satisfied with the service they are paying? Tip 4: Talk with your technician. – Communication with the technician is an excellent opportunity to discuss your concerns, problems. You can also ask for her experience on Microblading. What are the possible issues she will encounter as soon as she performs the procedure? Make sure to communicate well because Microblading is not a one-time procedure. The procedure requires several sessions and at least yearly touch up. This is to maintain the color and shape of the eyebrows. Researching for nearby Microblading salons may take time. But the effort you make is worth and pay off as soon as you find the best Microblading technician that you can trust. We have collected numbers of videos that can help our readers get to know more about the method of Microblading. This can provide you more knowledge about the procedure on how it is being done as well as what to expect. View all our Microblading videos collection by clicking here.